STURGEON BAY, WI (August 25, 2016) – ExacTech Inc. recently underwent a branding change to support their evolution into a world-class, turnkey metalworking operation which has been serving some of the most respected companies in the Midwest, and throughout the world, for over 25 years. A new logo, new colors and the launch of a new website and tagline are all part of the change for this Northeast Wisconsin based company. 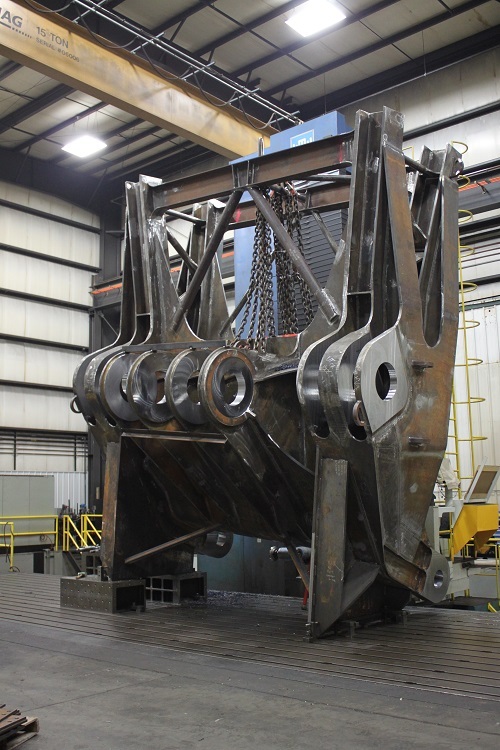 There are ongoing upgrades and installation of new equipment to better serve their customers as a one stop shop for midsized to heavy steel fabrication and precision machining, and they want the branding change to reflect this. The new tagline “Fabricate. Machine. Assemble. Now there’s a triple threat.” highlights ExacTech’s ability to provide a turnkey solution for large runs of mid-sized units or a one-off “mega build”. “As our company continues to grow and evolve it is important to retain our established core values but at the same time develop a more modern identity that reflects our expanded capabilities and future plans”, says Matt Lambie, Vice President of Operations at ExacTech Inc. “Our focus is on our customers and how we can best serve them. We want to promote a brand that represents what we are about, and that is our customers”, Lambie added. ExacTech has also launched a new website at www.exactechinc.com and has Facebook and LinkedIn pages as part of their new look. The new website and social media outlets will help to increase their online presence, as well as their digital marketing activity, and gives current and prospective customers an easier way to communicate with and follow the company. Among other things, the website features a “Quick Bid” tab that allows customers to submit RFQ’s online and experience some of the fastest bid turnaround times in the industry. 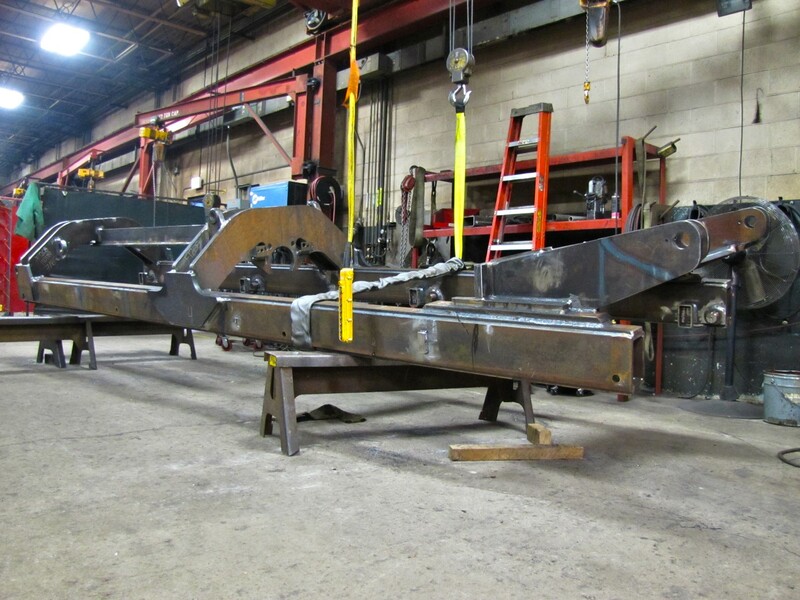 ExacTech continues to grow their steel fabrication capabilities with more sophisticated equipment and a highly skilled work force. 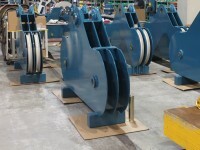 They encourage current and potential customers to call and set up a tour of the facility to see their impressive lineup of equipment and team in action. “We take pride in delivering high quality, precise metal fabrications on time and at a competitive price. There’s no better way to see our dedication to excellence than with your own two eyes”, said Lambie. 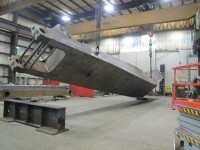 ExacTech is a sister company to Marine Travelift Inc. and Shuttlelift, also based in Northeast Wisconsin. 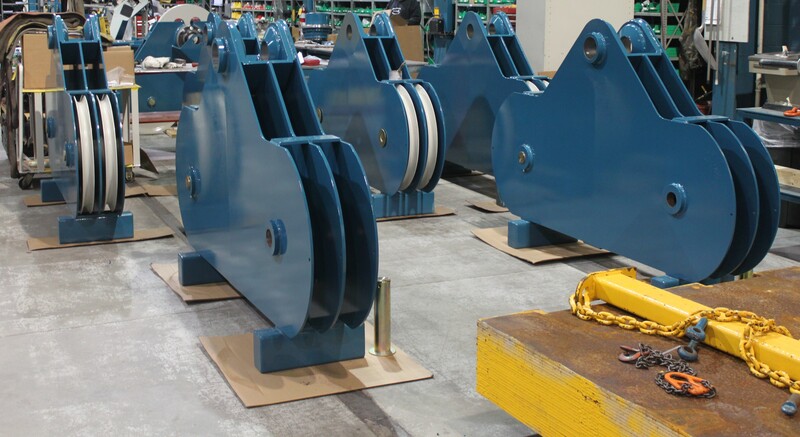 The Marine division has been providing mobile boat hoists, along with marine forklifts and transporters, for over 60 years to boat yards all over the world. Shuttlelift is the industrial division providing many different lines of rubber tired gantry cranes for the material handling industries. For more information about ExacTech Inc. and its full range of services, visit the new website at www.exactechinc.com or call (920) 746-0082. You can also follow them on Facebook and LinkedIn for the latest news and updates. On the cutting edge of contemporary machine centers, ExacTech Inc. is a world-class, turnkey metalworking operation that handles medium-to-heavy metal fabrication, ultra-precision CNC machining, burning, blasting, metal assembly and finishing services. 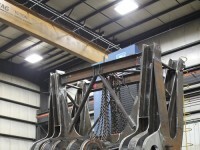 Located in Wisconsin, ExacTech’s state-of-the-art metal and fabrication outsourcing facility serves customers throughout the continental United States, in Canada and overseas, and it has developed a solid reputation for high quality and precision tolerance work. Subscribe here to get all of the latest news and updates.